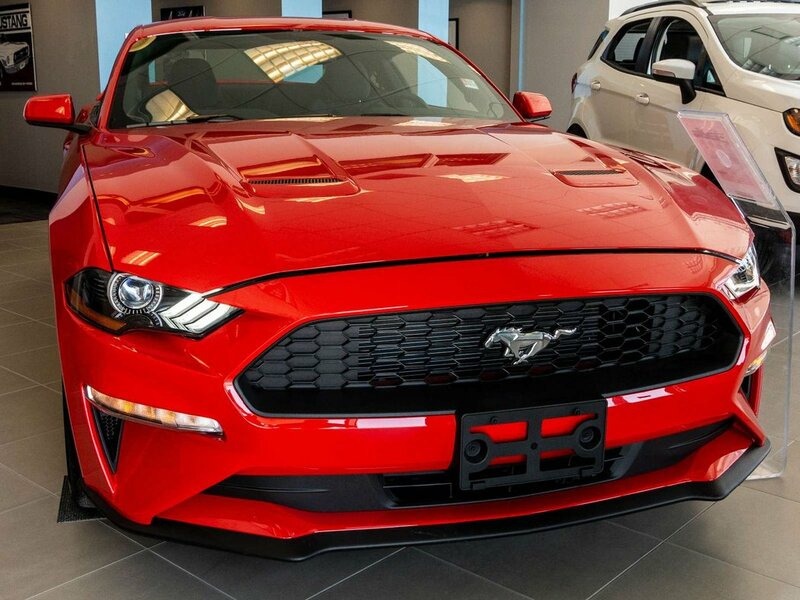 Offering premium good looks and performance to match, our 2018 Ford Mustang EcoBoost Fastback Coupe is irresistible in Race Red! Fasten your seat belt and feel the TurboCharged 2.3 Litre EcoBoost 4 Cylinder as it offers up 310hp connected to an innovative 10 Speed Automatic transmission. 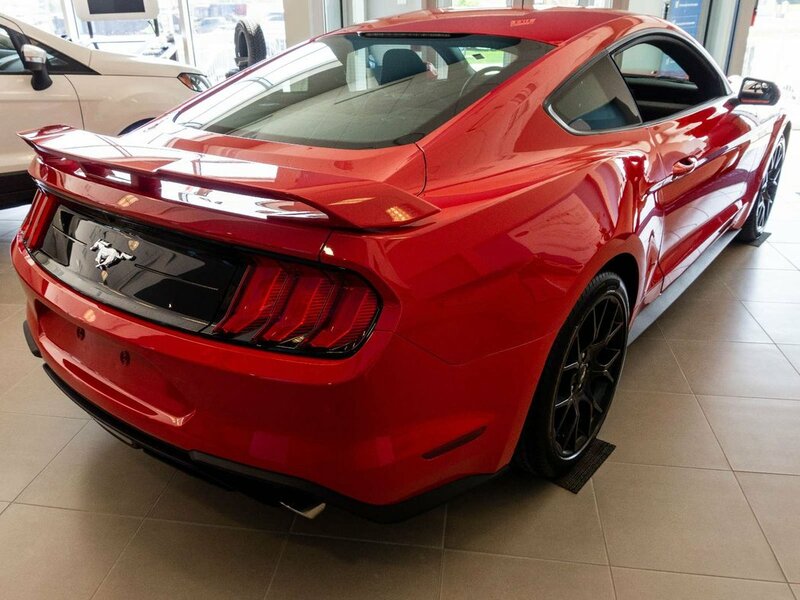 Our Rear Wheel Drive Mustang is amazingly agile and delivers a crisp and responsive driving experience along with near 7.8L/100km on the highway. Check out the timeless good looks of our EcoBoost Fastback with its iconic curves that ignite a sense of adventure. Take note of the beautiful alloy wheels, LED fog lights, and HID headlamps with signature lighting. 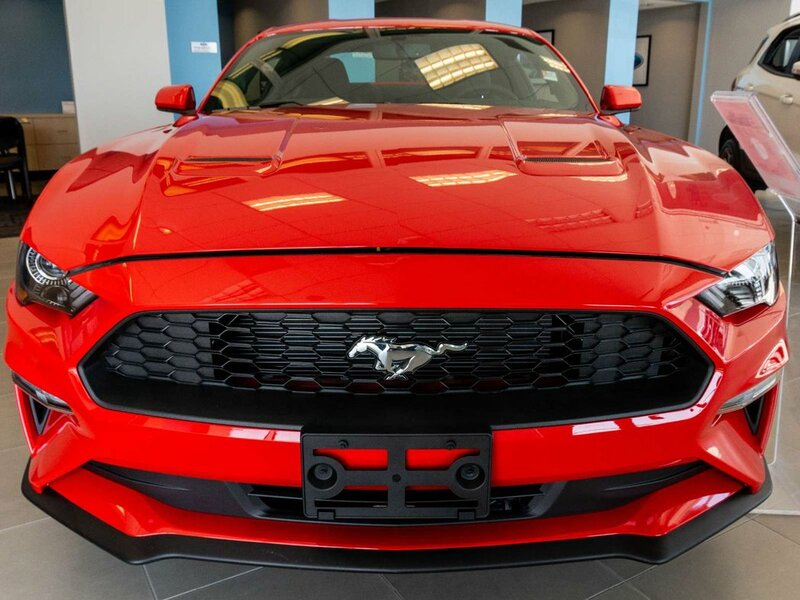 Not only does our Mustang treat you to exceptional driving pleasure, but it also provides priceless peace of mind. You'll be well-equipped with a rearview camera, advanced airbags, a tire pressure monitoring system, and MyKey parental controls. It's time to reward yourself with driving fun that is synonymous with the galloping pony! Print this page and call us Now... We Know You Will Enjoy Your Test Drive Towards Ownership!